Complimenting yoga, health and wellbeing, our friends at USPAAH recommend a massage every week. They can even send a massage therapist to your home if you live in London. Sure, it feels great, but what are the health benefits of getting a massage? Massage treatments historically, were a vital part of a healthy lifestyle, long before modern spa culture turned the concept of a massage treatment into a “luxury treat” to be had only on special occasions. Even Hippocrates prescribed diet, exercise, massage and hydrotherapy, as essential ways to strengthen and build up the body’s inherent resistance to disease. Whether you choose a basic Swedish or Deep Tissue ritual, or a more specialised Sports or Pregnancy massage treatment, here are 5 very good reasons why you need to start following the ancient wisdom of Hippocrates as soon as you can. Yes, a regular massage has many benefits beyond the immediate relaxation. Clinical studies have indicated that regular massage not only helps alleviate stress, which is a major contributor to illness, but can also increase the immune system’s “killer cells” levels and decrease the number of T-cells, which improves the body’s immune functioning overall. As early as 1931, studies showed that the primary cause of cancer is related to oxygen-deprived cells. Immediately after a massage, circulation is increased, which helps more oxygen molecules to enter the bloodstream supplying cells with this essential ingredient. Oxygen also plays a vital role in every metabolic process in our body, thus the more of it that reaches our bloodstream, the higher our energy levels. Sitting in meetings all day? Bad posture is a major contributor to neck and back pain, tension and headaches. Regular massages loosen muscles and relaxes joints, thus relieving pressure points. This allows the body to position itself in a healthy and natural posture, avoiding the movements and positions developed over time as a reaction to pain. 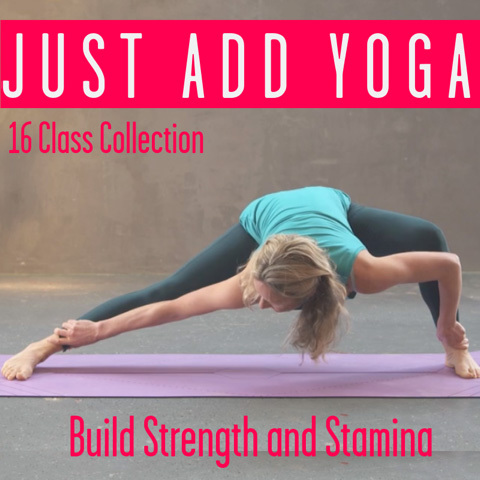 Want to reach that next level in your yoga practice? By working on muscles, connective tissues, tendons, ligaments, and joints, regular massage can improve your flexibility and range of motion significantly. What’s worse, as we age and become more sedentary, we are also becoming more injury prone. Keeping your joints fluid and muscles relaxed helps reduce the risk of injury overall. A pregnancy massage is usually recommended after the first trimester and the benefits for mum and baby altogether are numerous. Among those, pregnancy massage helps to decrease anxiety and stress, improve sleep and decrease leg and back pain, thus helping the expectant mother to feel more energized and invigorated. And we all know that during this time she needs all the extra energy she can get. This entry was posted in Anatomy // Tutorials and tagged balance, health, massage, wellbeing on June 16, 2016 by Edith Johnson.